Malfeasance may also refer to act performed by a public official that is considered to be legally unjustified, harmful, or contrary to the law. By conducting this act, the official has violated the trust of the people and has lost their respect. Oftentimes, an official found guilty of malfeasance is removed from his office and position. For example: President Bill Clinton who was impeached when he was found guilty of perjury and obstruction of justice. 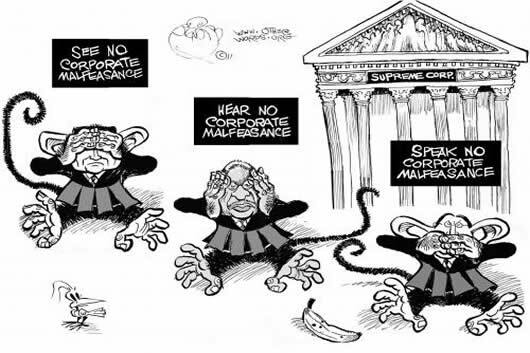 In law, malfeasance is often used in collaboration with the terms misfeasance and nonfeasance. Nonfeasance is the failure to act where action is required either willfully or in neglect. Misfeasance is the willful inappropriate action or intentional incorrect action or advice. Malfeasance, on the other hand, is the willful and intentional action that injures a party.